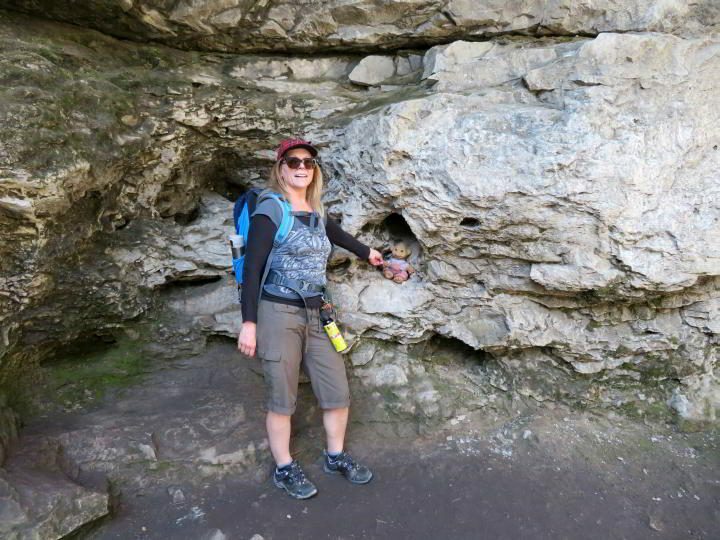 Troll Falls is an easy Kananaskis hike for all types of hikers. 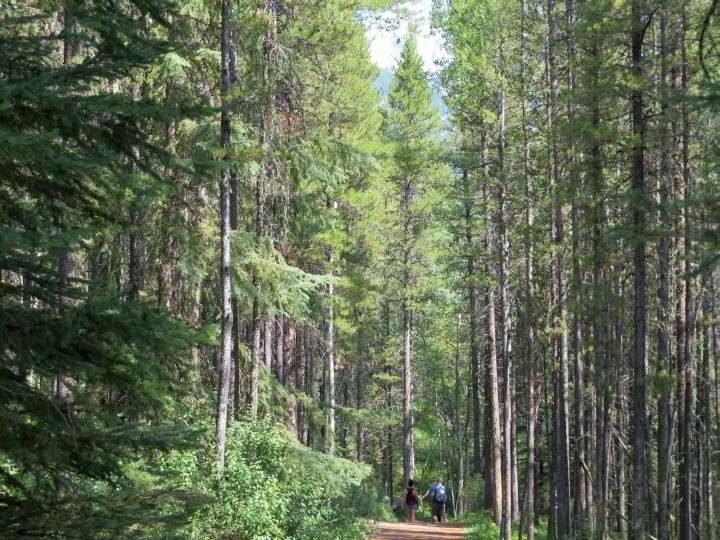 I saw a lot of families with their kids on the Troll Falls trail in the summer. 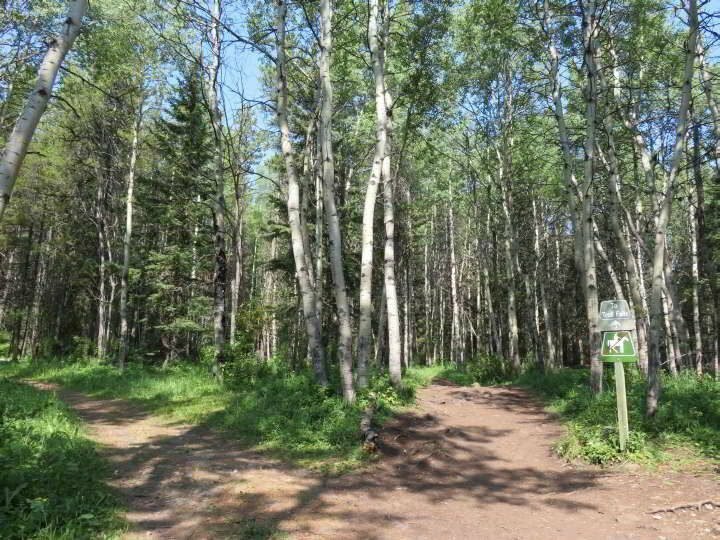 This hiking trail is also popular in winter. 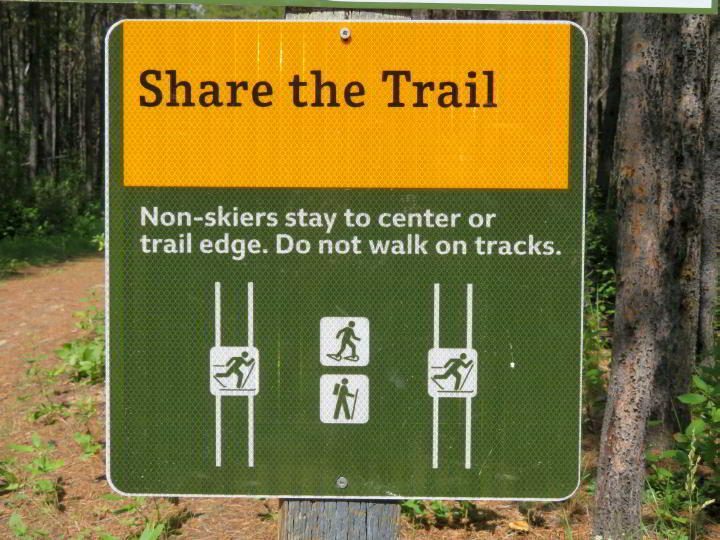 People go cross-country skiing or snowshoeing when enough snow is present. 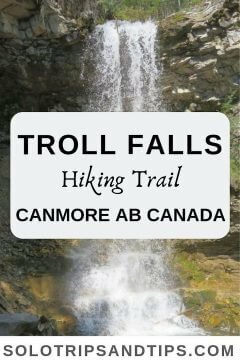 The Troll Falls is a beautiful little hike that starts out with views of Kananaskis country, then winds through the forest to the waterfall. 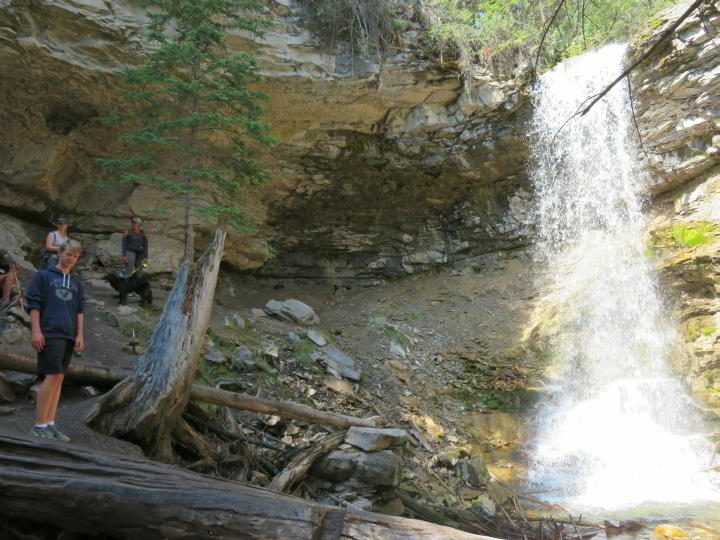 There are several trails leading to Troll Falls so you can do the hike out and back or do it as a loop. And yes you will probably see a troll or two among the rocks at the waterfall. From Calgary the drive takes about 1 hour. 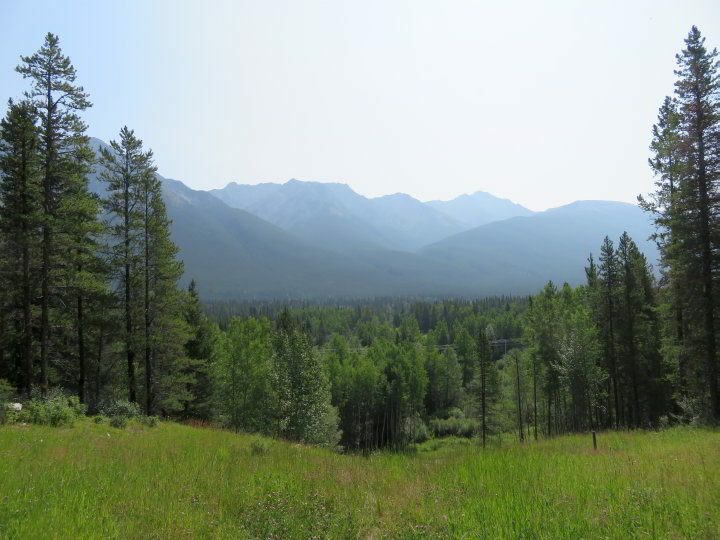 Take the Trans-Canada Hwy 1 west to exit 118 for Kananaskis Country. 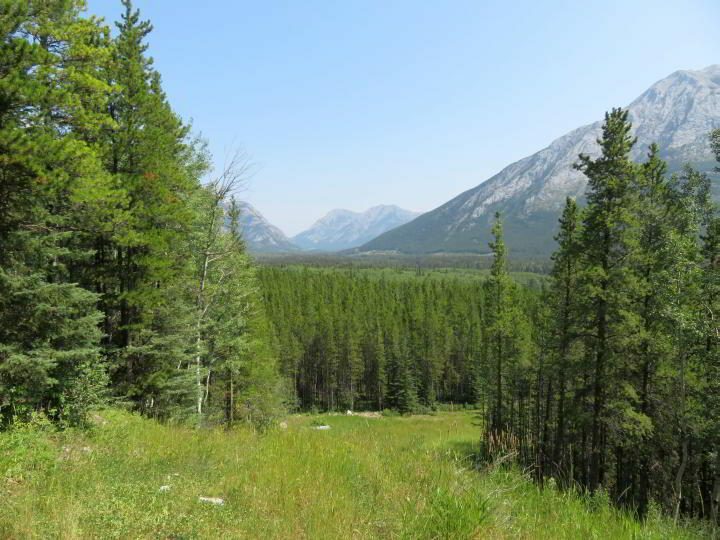 Turn left onto Hwy 40 S/Kananaskis Trail and continue for about 25 km. Then turn right onto Mt Allen Dr. and continue 1 km to Stoney Day Use parking area. I’m a sucker for hikes with waterfalls or panoramic views. 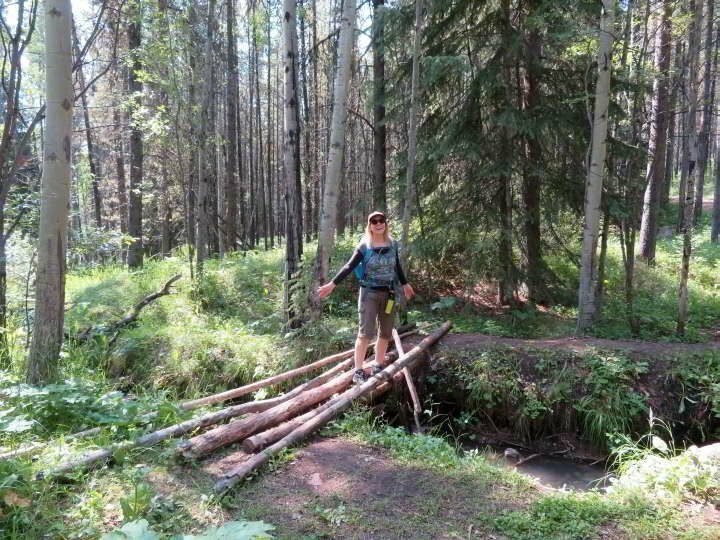 Luckily there are plenty of both types of hikes in Alberta. 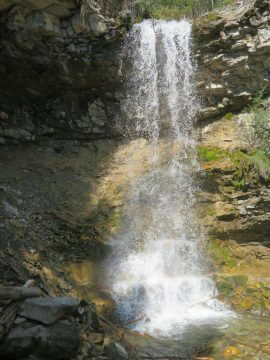 Troll Falls is an easy walk from the trailhead through a forested area and views of Kananaskis Country with little elevation gain until you get closer to the waterfall. 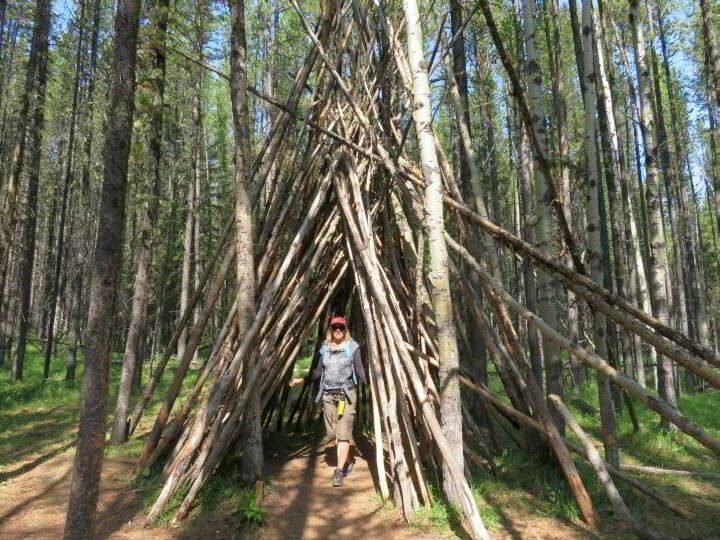 It’s a pleasant hike but not difficult so if you’re looking for more of a workout I suggest combining this hike with either Grotto Canyon or Grassi Lakes. In the summer you could also do the Ptarmigan Cirque trail, but it’s not open in winter due to the seasonal closure of Hwy 40. 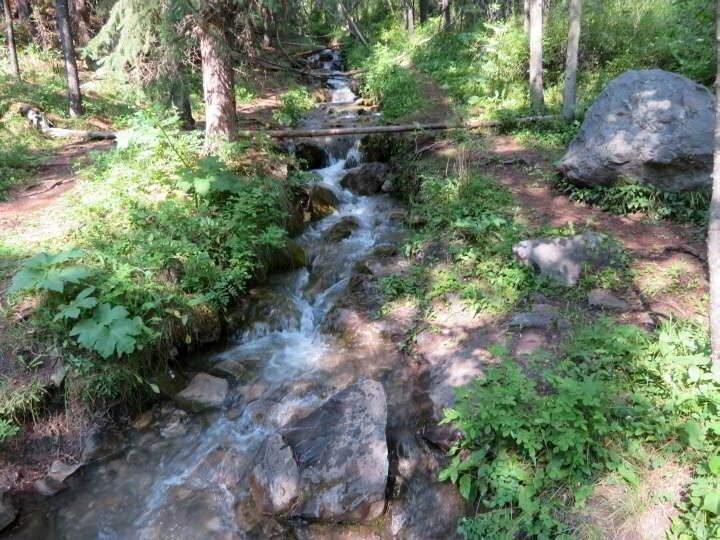 Along the way to the waterfall you’ll pass by views of the mountains, a grove of Aspen trees, a footbridge made from trees, and a shelter formed from tree trunks. 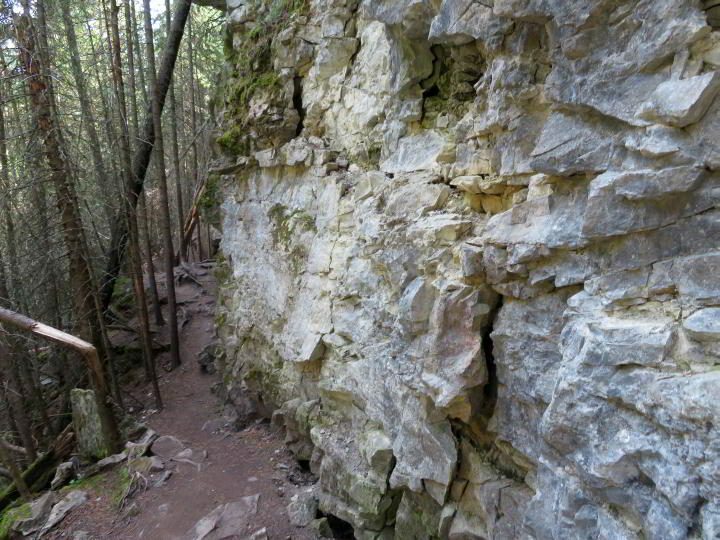 As you get closer to the waterfall there the terrain becomes more rocky and there is slight elevation gain. Watch for the trolls around the falls. When you plan your route back to the parking lot from Troll Falls hike you have several options. 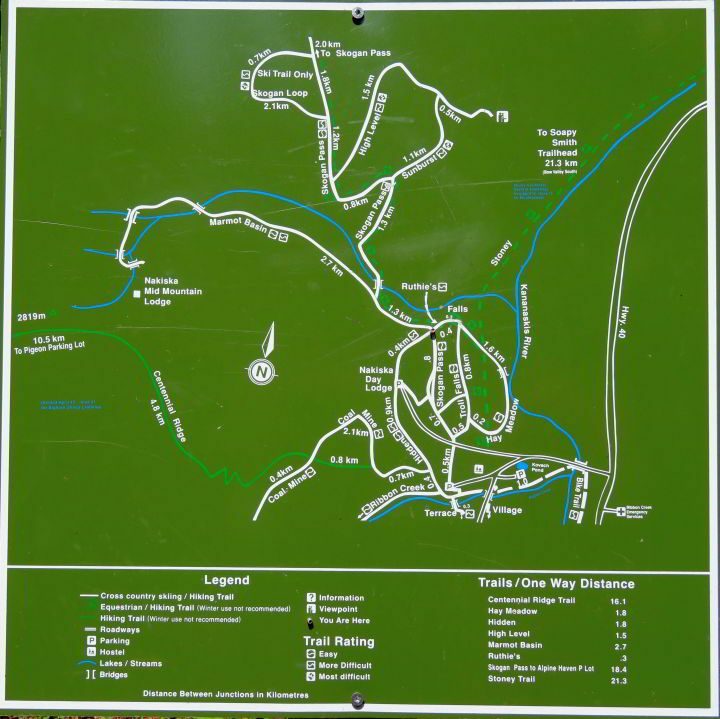 If you took Hay Meadow on the way to the falls then consider doing either Troll Falls or Skogan Pass on the way back to make it a a nice loop trial. You’ll need to pay careful attention to the map because the pathways are not always well marked. Sometimes you may be wondering which path is the correct way. 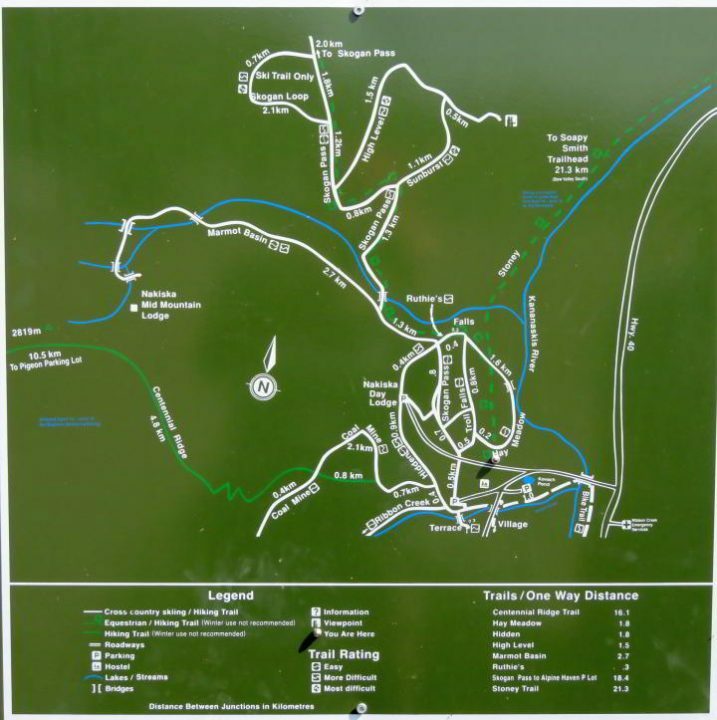 I like to take a photo of the trail map before I start out so I have a reference during the hike. 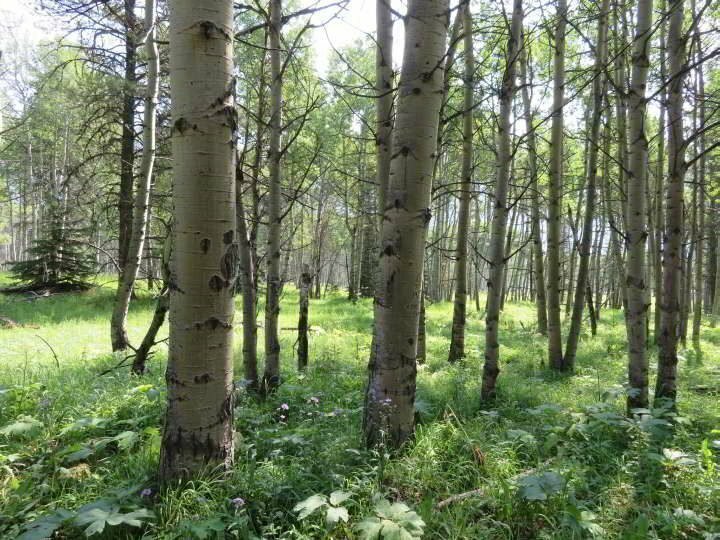 Best time to hike this trail is from May through October but throughout winter you can also hike this trail. Especially in the winter check the weather reports plus bring both clothing and gear for winter conditions with possible ice and snow. NOTE: You may need crampons in the winter and hiking poles are also a good idea.